The Directors General of eight of Europe’s largest intergovernmental scientific research organisations — the EIROforum, of which ESO is a member — have urged the institutions and Member States of the European Union to continue to support science strongly in their budgets, in an open letter sent to José Manuel Barroso, President of the European Commission, among others. 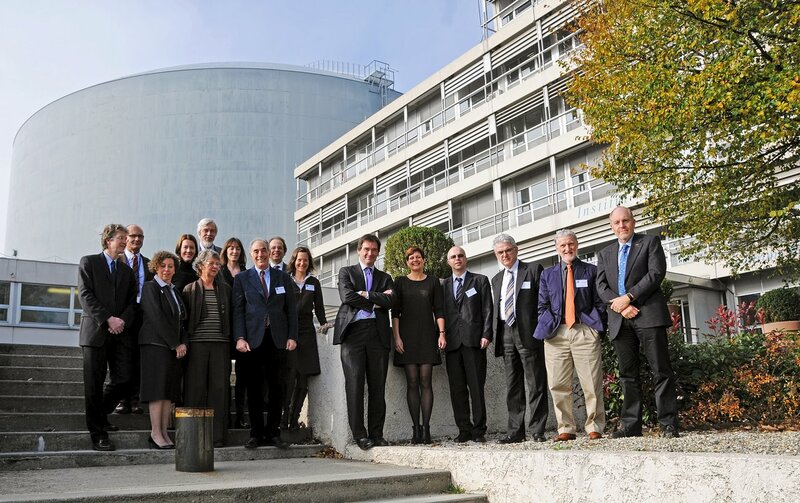 The eight EIROforum members are: CERN, the European Organisation for Nuclear Research; EFDA JET, the European Fusion Development Agreement; EMBL, the European Molecular Biology Laboratory; ESA, the European Space Agency; ESO, the European Southern Observatory; ESRF, the European Synchrotron Radiation Facility; European XFEL, the European XFEL Free-Electron Laser Facility; and ILL, the Institut Laue-Langevin. By combining international facilities and human resources, EIROforum exceeds the research potential of the individual organisations, achieving world-class scientific and technological excellence in interdisciplinary fields. EIROforum works closely with industry to foster innovation and to stimulate the transfer of technology. By cooperating on large-scale outreach activities, EIROforum communicates the importance and fascination of science to a wide audience. By promoting inspiring science teaching, EIROforum motivates and encourages young people to explore scientific subjects, and shows them that science is a rewarding career. EIROforum operates on a rotational Presidency starting on 1 July each year. In the period July 2012–June 2013 the EIROforum Chair is Prof. Andrew Harrison, Director General of ILL.